Kinkel Scholarship Winners for 2019: Helena Blackwell, Hope Arcade; Drew Beigner, Zion Clarence Center; Madeline Reid, St. John's Williamsville and Andrew Thiele St. Martin's N. Tonawanda Congratulations! ​St. 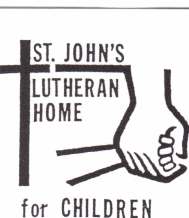 John's to award (4) Scholarships for 2019 - Thank you Patrons!